What is the Difference Between a Sinus Headache and a Migraine? Migraine headaches can be hereditary and predominantly affect women. A man with a sinus headache. Many classic migraine headaches trigger nausea and extreme sensitivity to light. Migraine symptoms are often more severe than those of a sinus headache. 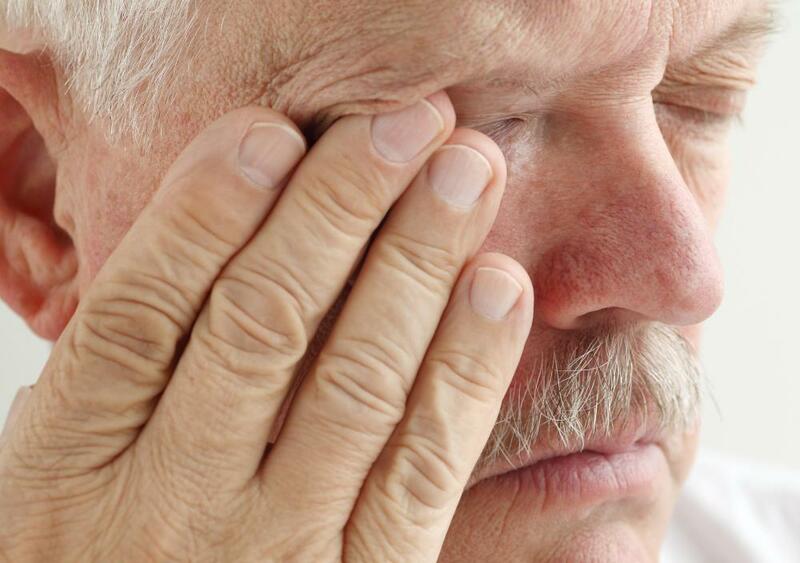 A sinus headache can cause a dull, throbbing pain behind one or both eyes. A sinus headache and a migraine are commonly confused. The sudden, throbbing pain and immediate malaise of both the sinus headache and a migraine might be difficult to diagnose at first. Basically, a sinus headache is commonly caused by sinusitis and presents typical symptoms of a sinus infection: tenderness in the sinus cavities, foul-smelling discharge, fever and a reduced sense of smell. 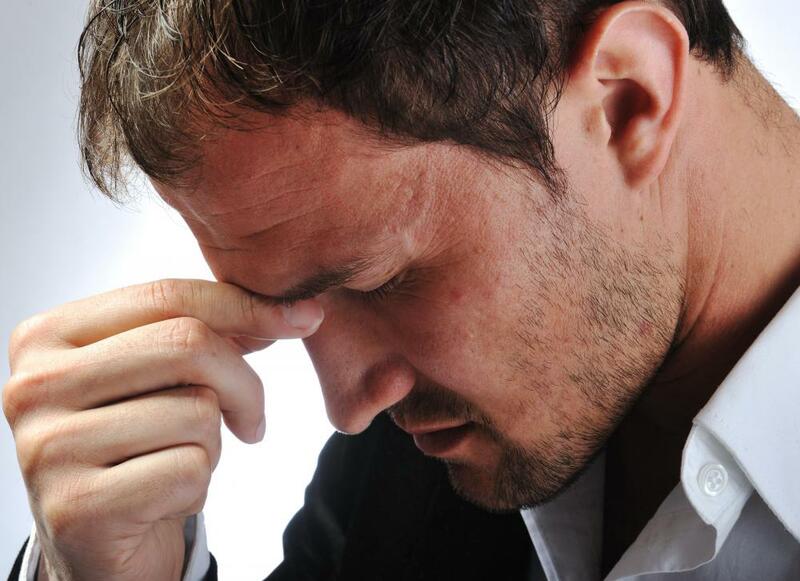 A migraine headache afflicts the front, top or back of the head and might cause neck pain. Migraines are accompanied by nausea and vomiting, sensitivity to noises and bright lights, and they can be very debilitating. Migraines affect people, predominantly women, between the ages of 15 and 55, and they might be hereditary. A migraine sufferer often experiences an "aura" 10-30 minutes before a bout, and it might include seeing visions of flashing lights or blind spots, numbing or tingling in the face or extremities and mental confusion as well as inhibited taste, touch or smell. Two distinct symptoms that differentiate a migraine from a sinus headache are nausea and extreme sensitivity to lights. A sinus headache is commonly caused by an infection, but it might also be caused by allergies, a malignancy or exposure to an environmental contaminant. Initially, the severe, sharp pain feels much like a migraine, because the tender cavities in the sinus become inflamed or irritated. Sufferers experience facial tenderness in the upper cheekbones, nose and forehead. As an infection develops, symptoms such as a yellowish or greenish nasal discharge and fever develop. Two distinct symptoms that can be used to differentiate between an infectious sinus headache and a migraine are facial tenderness and nasal discharge. These different causes are why a sinus headache and a migraine receive different treatments. A sinus headache caused by an infection is treated with antibiotics, decongestants or steroidal nasal sprays. Over-the-counter analgesics relieve temporary pain. There is no cure for migraines, and over-the-counter analgesics might provide little if any relief. Migraine sufferers might take prescription drugs, such as triptans, which balance chemicals in the brain. New studies show that treating a migraine when symptoms first begin might prevent a severe, debilitating attack. How do I Use Verapamil for a Migraine? What are Ocular Migraine Symptoms? What is the Connection Between Sinus Infection and Nausea? 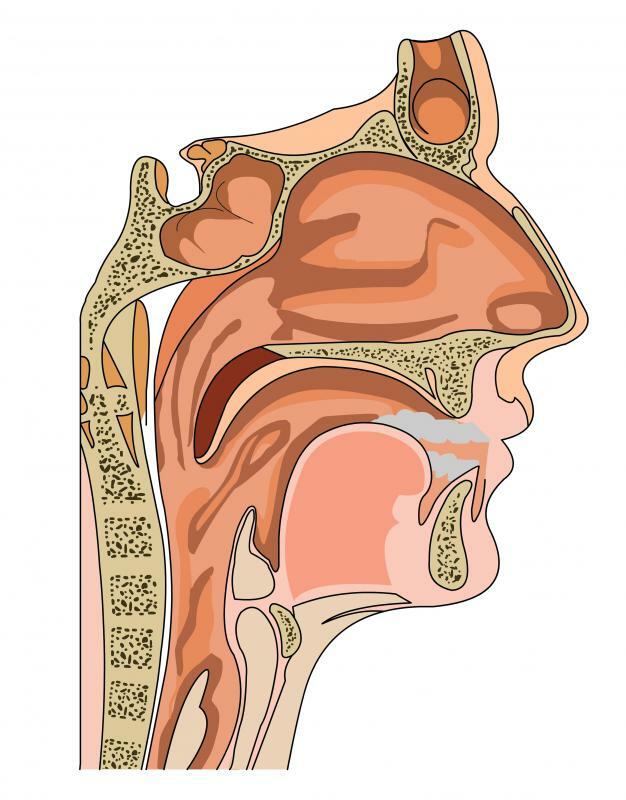 What is the Best Natural Sinus Headache Relief? My sinus headaches usually include pain under my eyes and across the bridge of my nose. Apparently, that's where my sinuses are most apt to become inflamed. Grivusangel is right, though. A hot shower will often help loosen up the congestion, so it can help relieve a sinus headache. Massage on the back of the neck can help, too. I don't know why, but if my husband rubs my neck and shoulders, it can really help a sinus headache. I've never had a migraine, but I know they're miserable things to endure. I've had friends and co-workers who had them, and they can be absolutely debilitating. Nausea can come with a sinus headache, if the pressure is causing a corresponding pressure in the ears. It's a nausea akin to motion sickness. However, usually a sinus headache can be relieved with a decongestant and a pain reliever, usually an NSAID to reduce inflammation. A migraine doesn't respond to any of these things. Also a sinus headache will often resolve after the sufferer takes a hot shower or has a nap. A migraine often only responds to several hours of sleep in a very, very dark room, frequently with a cool cloth on the forehead or back of the neck.